Home Conferences April 2019 Faculty April 2019 Paul Thompson, M.D. 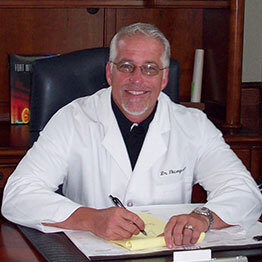 Dr. Paul D. Thompson is a board-certified urologist and a Fellow in the American College of Surgeons. He is a member of the American Medical Association, Missouri Medical Society and American Urology Association. After earning an undergraduate degree from the University of Missouri at Kansas City, he graduated from the University of Missouri at Kansas City Medical School in 1981. Seven years later, he completed a residency in urology at the University of Louisville in Kentucky. In 1988, Dr. Thompson established a private urology practice in Cape Girardeau, Missouri, which he maintained until 2007. He also was a cofounder and board member of the U.S. Medical Development Service Company, designed to serve physicians in lithotripsy, radiation treatment centers and hospitals. At Southeast Missouri Hospital, he was Chief of Surgery for four years as well as Chief of Staff and head of their Credential Committee. Dr. Thompson always believed in a proactive medical approach, but wasn’t sure how to accomplish that until his own health issues led him to experience a new paradigm with age management medicine.